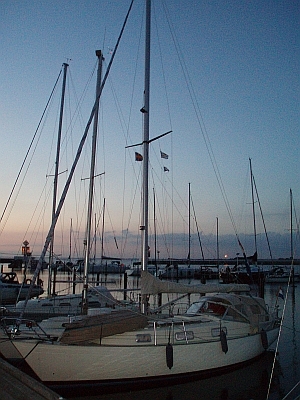 The sprayhood on Isabell is made by Rössy Kapell in Sweden. This one is from 1995. Now we are on the third generation sprayhood from the same company. 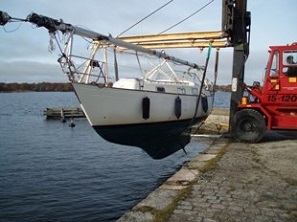 Bought a new sprayhood for HR31 Monsun with the 2-bow frame fitting for about 500 € (2015). 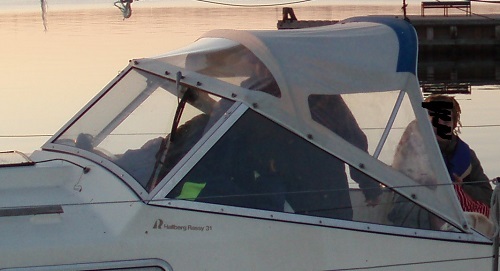 It has, like the one before, 3 window panes. 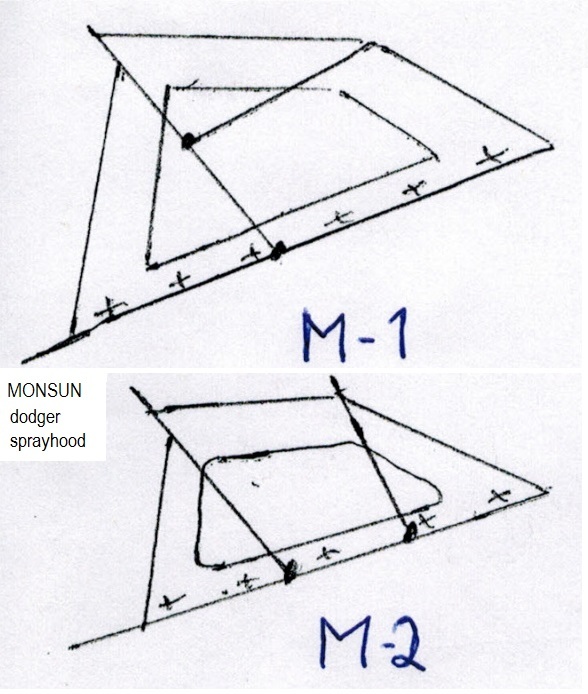 The types of sprayhood frames applied on the Monsun, adapted from the Hallberg Rassy website, Isabell has the double bar type M2.